Ian Skelly presents performances by musicians from Finland, Sweden and Iceland. With works by Bach, Crusell, Michael Kirsten and Mendelssohn. Northern Lights: Ian Skelly presents performances by artists from Finland, Sweden and Iceland. 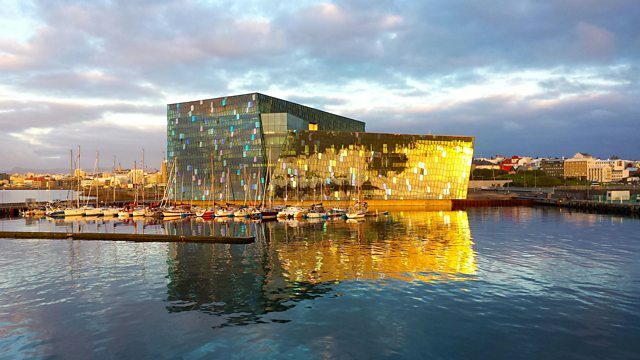 Photo of Harpa Concert Hall, Reykjavik (c) Nic Lehoux. Performer: Pekka Kuusisto. Performer: Nicolas Altstaedt. Performer: Emily Beynon. Performer: Paula Sundqvist. Performer: Riita-Liisa Ristiluoma. Performer: Mikko Ivars. Performer: Johanna Persson. Performer: Kati Raitinen. Performer: Edicson Ruiz. Performer: Sigrún Eðvaldsdóttir. Performer: Pascal La Rosa. Performer: Þórunn Ósk Marinósdóttir. Performer: Sigurgeir Agnarsson.